The company name will be given to a team and displayed on a uniform. The team name will be used in schedules, standings and game results appearing on the NBLL website and in local publications. 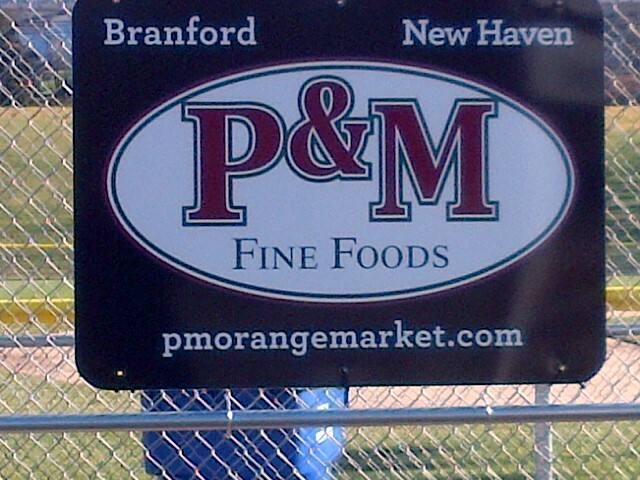 The company name prominently displayed on a sign in the outfield at one of the fields in town (click to see sponsor sign). The company name, address, phone number, website address and logo listed on the Sponsors page of the NBLL website. 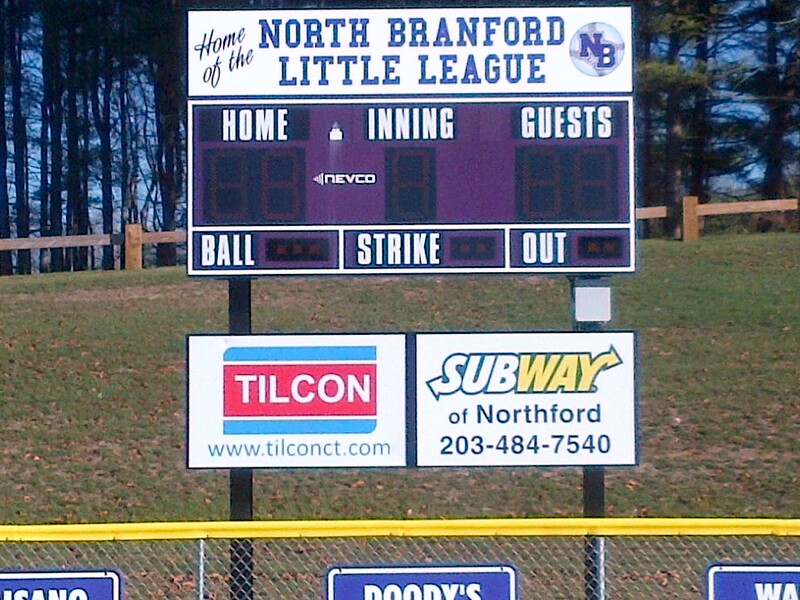 A wall plaque acknowledging the generosity shown to North Branford Little League. A large, custom, full-color sign will be prominently displayed at Wall Field or Totoket Field (click to see Scoreboard photo)(click to see Dugout photo). 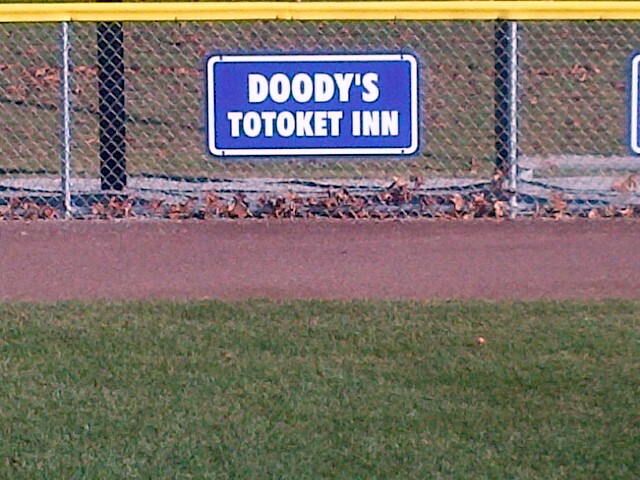 Please download and follow the instructions on the Sponsor Form to initiate a North Branford Little League sponsorship. League President, Joe Mascari, 203-627-5047. The North Branford Little League board, the volunteer coaches and the children of North Branford Little League and Senior Baseball and Softball are grateful for your support.